As we countdown to the ceremony, Solar Power Portal is to shine the spotlight on this year’s shortlisted nominations, and today we look at the always competitive Residential Rooftop PV Project category. 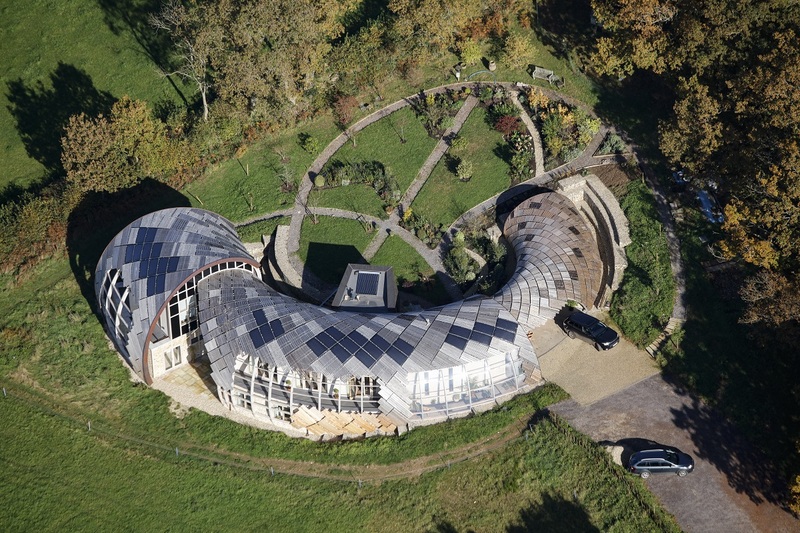 Commissioned on behalf of Institution of Mechanical Engineers chief executive Stephen Tetlow, EvoEnergy partnered with GBSol to install solar on this striking home. The unique shape of the structure required bespoke panels that are diamond shaped and flex on two axes. Meanwhile traditional fixings could not be used due to the building’s compound membrane roof, meaning that bespoke integrated fixing points had to be designed to fit around green oak slats. The system has a total generation capacity of 5.337kWp, with the all black panels estimated to provide the building with 4,551kWh of power each year. Excess generation is also diverted via an Immersun controller, maximising self-consumption. But will the project’s undoubted innovations and stunning design be enough to set it from the chasing pack?